The battery is the heart of your vehicle’s electrical system – so make sure yours is strong enough. Mopar® offers a full line of batteries to meet your vehicle’s specific needs. It’s important to choose the right parts when repairing your vehicle, but navigating the original equipment versus generic parts maze can be confusing. While it may be tempting to go with generic alternatives, there are countless reasons to always choose original Mopar® parts. 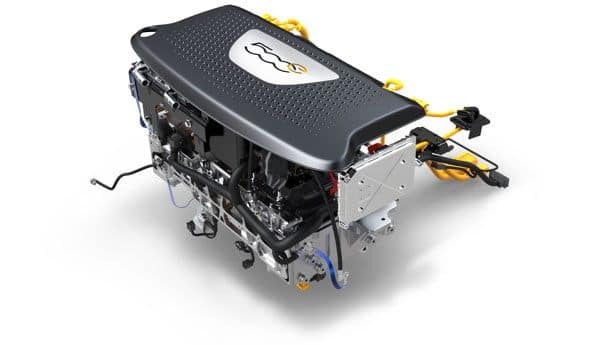 FCA US LLC is committed to going green — using electrification technologies in an increasing number of upcoming vehicles, and making it easy for customers to recycle or repurpose their lithium-ion batteries. Lithium-ion batteries can currently be found in the FIAT® 500e (BEV) and the 2017 Chrysler Pacifica Hybrid (PHEV).